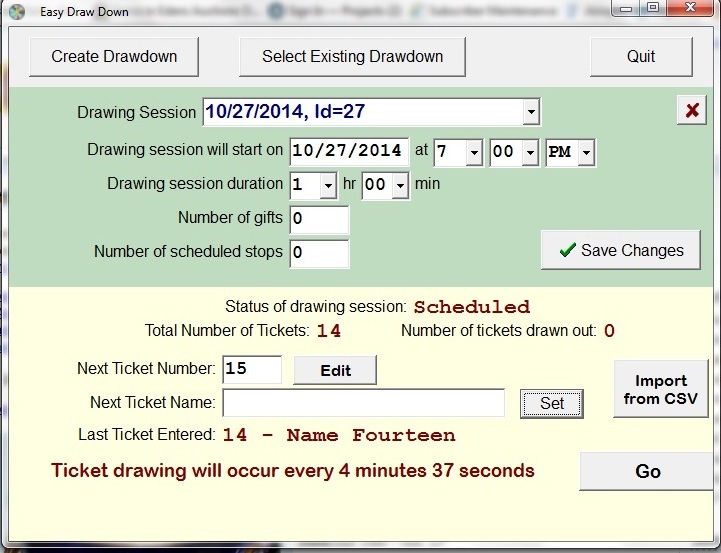 A "DrawDown" is a method to raise money for your organization by selling tickets and drawing one or more winners. Here's the details. Sell tickets to your drawdown event. Each ticket is numbered. Eliminate ticket holders until you get to the number of winners you desire to win the prize you have specified. 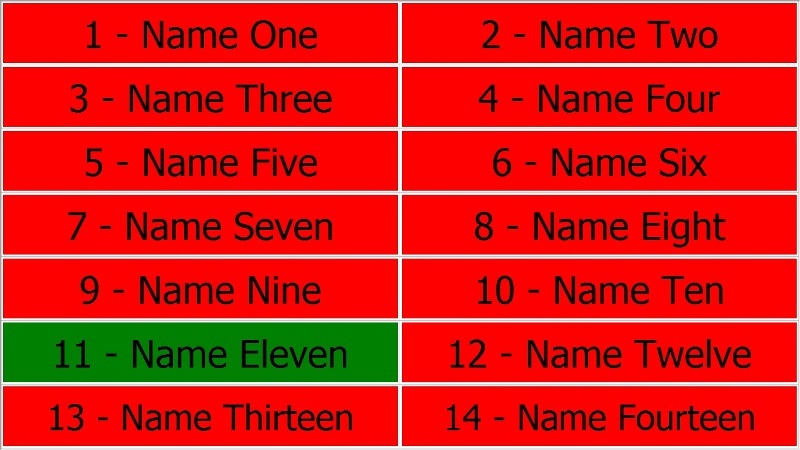 In the past most drawdown events have had to manually select tickets for elimination. Not to mention keeping a list of ticket holders by name and number and creating tickets. There is now no longer any need to do it manually. With Yundle DrawDown Software you can easily conduct a DrawDown for your organization and save time and money. If you are the event organizer or auctioneer conducting the event this software is a must. Install the software on any windows computer. Open the program and create your event name. Then enter names of people who have purchased a ticket. If you want to give a prize or gift to a few people ramdomly selected specify the number of gifts you want. If you want the program to stop after it has eliminated all but a number of ticket holders your specify enter the number. Enter the begin time and how long you want the event to run until the program has selected a winner. We can also provide you with sample drawdown rules for you to select what works for you. For more information, please use our contact form or call. 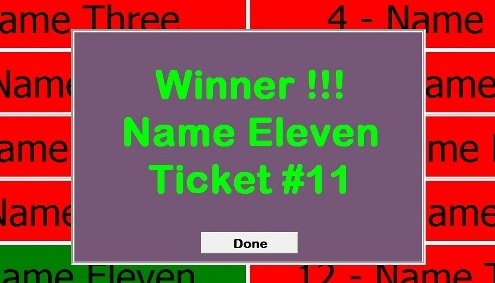 The last ticket remaining is the winner in this example. "We used the Electronic Drawdown software at a fundraiser for Hartfield Academy in October, 2014. It was easy and saved us time and money. Watching the names being eliminated on the projector screen was also exciting." Edens Auctions, Inc.